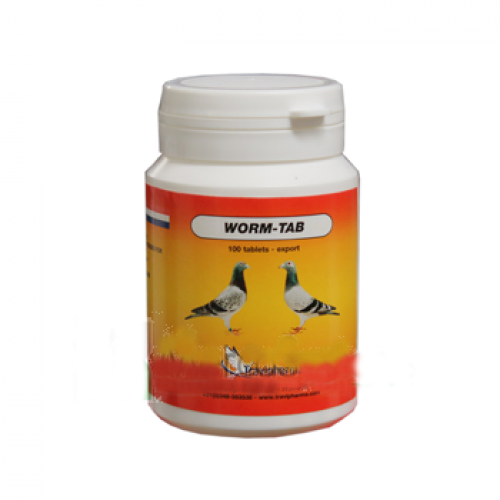 Worm-Tab 100 tablets by Travipharma is a highly effective treatment for all types of internal and external parasites (2 in 1), including tapeworms. Full treatment for deworming pigeons. - External parasites plumage (fly, piojillo ...). - Kills and remove eggs and larvae. - Preventive: 1 tablet per pigeon every 2 months. - Treatment: 1 tablet per pigeon and repeat the treatment after 14 days.